Where to stay in Australia’s largest city? Find out the best neighborhoods to stay in Sydney! The sprawling capital of New South Wales, Sydney is Australia’s most populous city, ahead of Melbourne and Brisbane. With 5.25 million Sydneans spread over 12,367 km², it is also the largest city in Oceania. Sydney is one of the world’s most popular tourist destinations, attracting millions of tourists each year who come to visit the city’s many monuments. Unsurprisingly, accommodation in Sydney is expensive. From the historic centre – The Rocks, near the Opera House and Harbour Bridge – to Potts Point and the frantic Darlinghurst, to the seafront at Bondi Beach, from the Avalon Peninsula to Chatswood, from Parramatta to the suburbs: all of Sydney’s neighbourhoods offer a different atmosphere, like small cities within the city. Here is a brief presentation of the best areas to stay in Sydney. Sydney’s first inhabitants were sailors and explorers from distant Britain. It is here, on this land inhabited by the aborigines for millennia, that they founded the first British colony in the 18th century. In this historic district, you will find more than a hundred heritage buildings, as well as numerous bars and restaurants along the quays of the port. Directly opposite, the famous and imposing Sydney Opera House and the majestic Sydney Harbour Bridge, spanning the immense harbour which is reminiscent of both Manhattan and Venice. In addition, The Rocks is home to the oldest houses in Sydney, including Camden Cottage (1816). 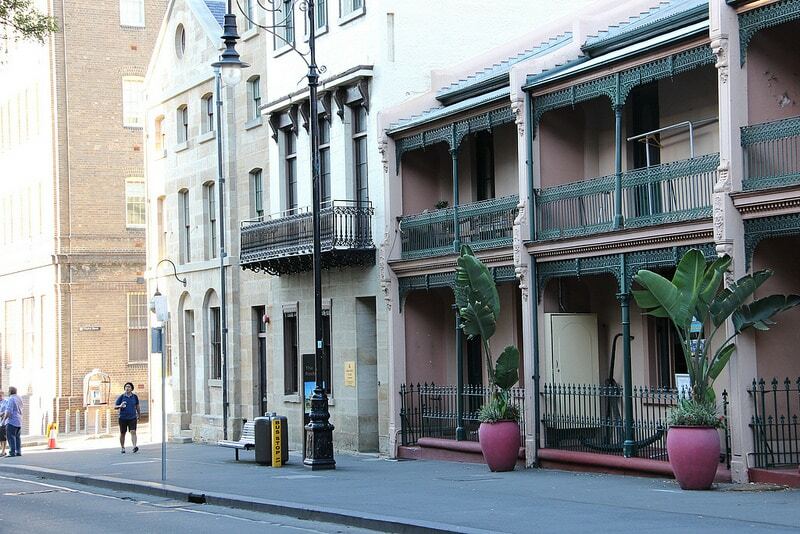 A good neighbourhood to stay in Sydney, very central, and the epitome of a chic and bourgeois atmosphere! 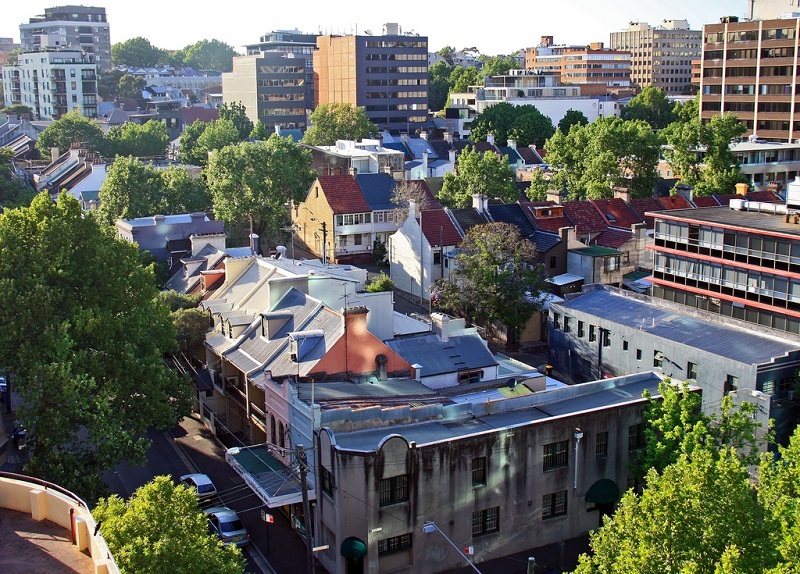 Located in the city centre, Surry Hills is a gentrified district which was once an ill-famed area. Today, the decrepit buildings and facades have been replaced by art galleries and lounge bars. Surry Hills is one of the city’s trendiest areas, mostly frequented by chic hipsters. If you like artsy places undergoing gentrification, this is the place to rent an apartment, a youth hostel or a hotel room: Surry Hills is the den of thirty-year-olds and travellers. Situated to the east of the historic centre and its Opera House, these two neighbourhoods are the favourite haunt of young people who frequent its pubs and nightclubs to drink the night away. In a jet-set environment, a whole army of night owls indulges in a frenzied lifestyle, especially at night. Kings Cross is Sydney’s “Red Light” district, the former stronghold of thugs and gangsters who ruled their territory through drug trafficking, prostitution, and violence. We have stayed there and we can confirm that its reputation as a “dodgy” neighbourhood is now obsolete. 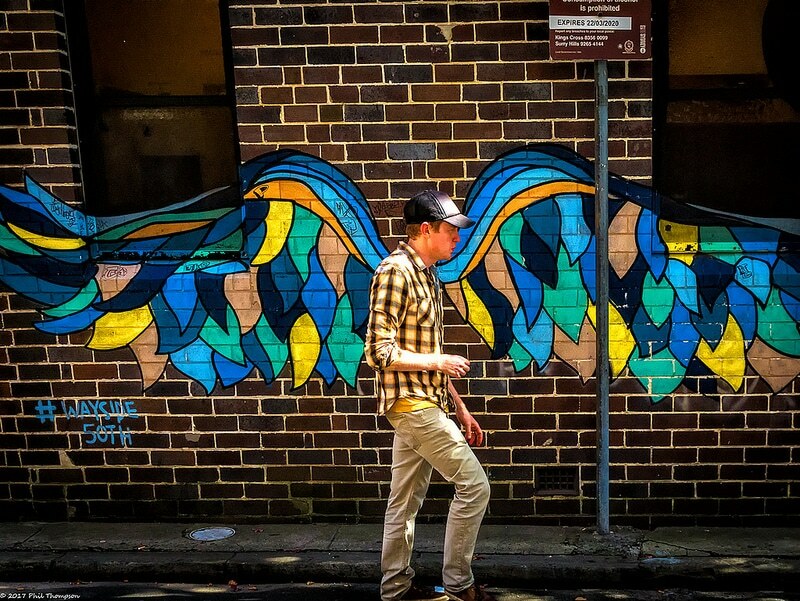 A wealth of backpackers’ – the Australian-style youth hostel -, small trendy cafés-bars, restaurants and organic markets liven up the area during the day while the neighbourhood takes on a festive spirit at night, and becomes a hideout for Sydney’s underworld. If you enjoy partying, this is the place to stay in Sydney. 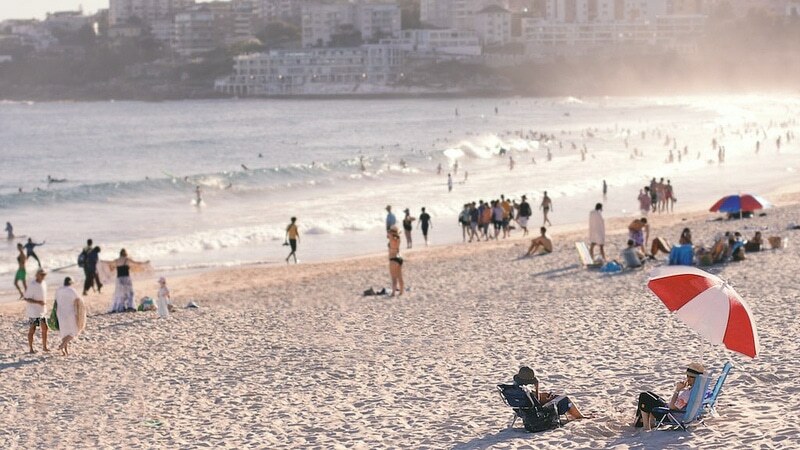 Well-known for its laid-back atmosphere, Bondi is the surfers’ paradise. Here, life oozes a blend of idleness and effortless cool: the definition of good holiday destination. In Bondi Beach, it’s commonplace to wear flip-flops and beach towels, quite the opposite of the CBD’s suit and ties! You won’t forget Bondi’s monumental waves surrendering their might on the fine sandy beach. In summer, the place is crowded with holiday-makers in search of a quiet and relaxing neighbourhood in the heart of a sprawling metropolis (Bondi Beach is only forty minutes away from the city centre by bus! With its beautiful views of the South Pacific, Bondi Beach is a good place to stay in Sydney. Indeed, accommodation options are plentiful and therefore less expensive.